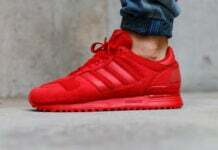 adidas Originals has been ramping up their releases for Spring and Summer and one of the pairs that will launch is the adidas ZX 700. 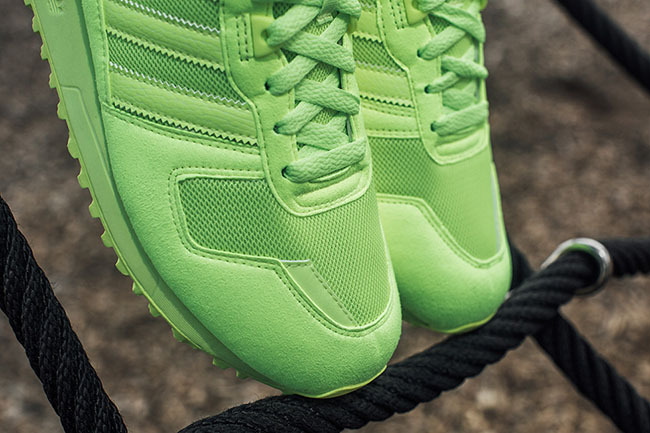 Featuring a Neon Green takeover, the shoes should do well as the weather heats up. 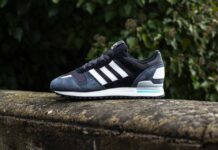 Constructed with leather on the overlays, the three stripes branding as well as by the collar and tongue features mesh. 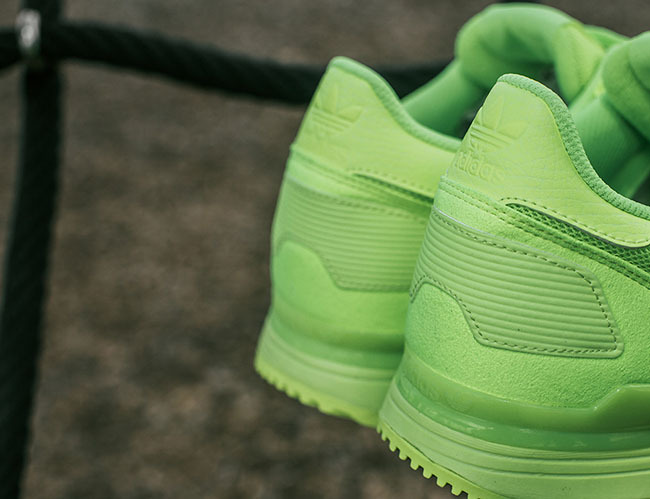 As you can see, Neon Green covers this adidas ZX 700, however due to materials it appears that different shades of Green are used. 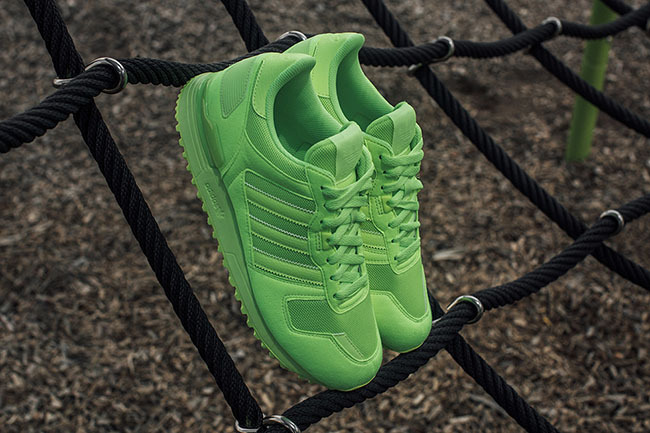 Even the outsole looks almost like a hue of yellow, but no matter what, this should be a hit amongst adidas fans. 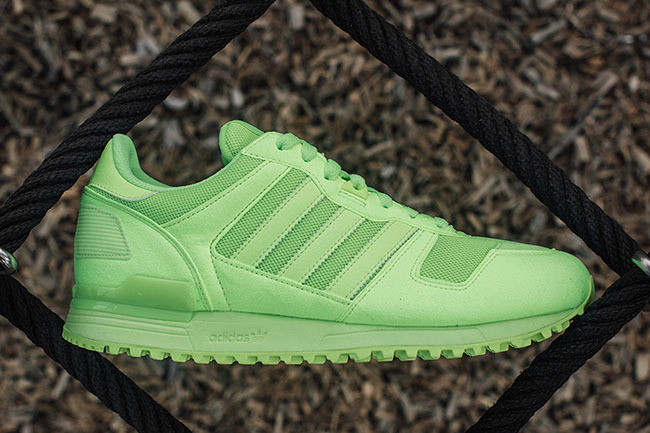 The adidas ZX 700 ‘Neon Green’ is now making the rounds at adidas Originals retailers which includes stateside shop Social Status, but appears you will have to visit one of their locations to purchase. 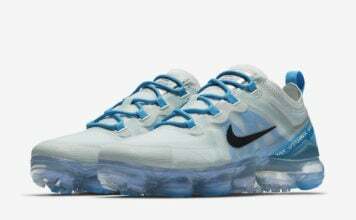 Additional stores will have them in the coming days, so be on the look out for that. Check out additional photos below.